Senior master of the Goundar Shipping Limited fleet Captain Inoke Ratotodro. Senior master of the Goundar Shipping Limited fleet Captain Inoke Ratotodro said the Fiji Maritime Academy needed to align their training programmes with the Maritime Safety Authority of Fiji standards (MSAF). “Quite a few of the certificate holders from the academy (FMA) are not recognized by the MSAF and this needs to be ironed out,” Captain Ratotodro said. “Otherwise the students going through the academy will be dis­illusioned when they are quali­fied according to the academy and MSAF does not recognise their cer­tificates,” he said. The assertion by Captain Ratotodro that seafaring tickets were not granted because they were not recognised by MSAF has been denied by the academy. “These are serious allegations and we have to look into it,” said FMA Head of Department Nautical Sciences Captain Voi Garisau. In a meeting at FMA with senior staff on Monday, Captain Voi said courses run by the academy were approved by MSAF and most of their students were currently em­ployed in the maritime field. The meeting included Captain Voi, FMA senior lecturer Captain Tevita Robanakadavu and Head of Department Quality Management Mahesa Abeynayake. “The academy has certification courses for international seafaring standards from deckhand all the way to chief mate and has plans to incorporate Masters Class I and II from 2019 after proper groundwork was laid,” Mr Abeynayake said. Masters Class I is the highest qual­ification with the maritime officer holding the ticket being granted to captain any vessel of any size and tonnage at international level. Captain Ratotodro said the last couple of years had been frustrat­ing for graduates from the FMA be­cause of the gap and the authorities needed to work together to properly assess and resolve the issue. He said courses for Master Class I and II needed to be included in the academy for students to get inter­national tickets to captain vessels to the highest level locally. Academy chief executive officer Krishan Perera said the Master Class I and II programmes were in the process of being available from Semester I, 2019. 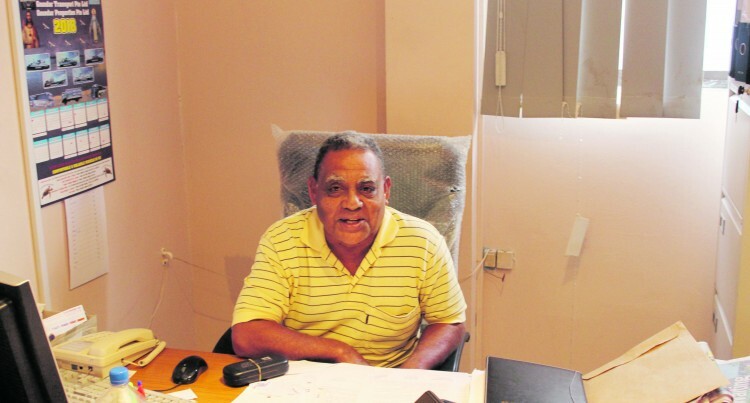 Mr Perera said certain criteria would be put in place before the course was available which in­cluded preparing the curriculum, staff and the approval by the Fiji National University senate. MSAF chief executive John Tunidau was preparing a state­ment concerning the issue when this edition went to press.